The Laurentian Cross Country Ski Alliance (RSFL) initiated this major project in 2011. The process aims to encourage cross country ski centres to continuously upgrade their infrastructure. 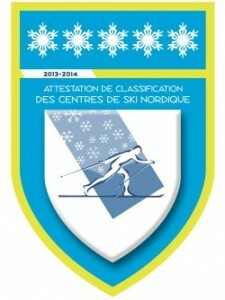 The accreditation with 1 to 5 snowflakes on the classification icon shows skiers what types of services and which facilities are offered at each centre participating in the program. The compilation of the program was completed in the winter of 2012-2013. Since then, four centres have taken advantage of this classification. In the 2013-2014, several more will be included on a voluntary basis. The positive impact of the program will become evident this winter. The development of this project was made possible through funding from the Conférence régionale des Élus des Laurentides and supported by Loisirs Laurentides. In Phase 2 this winter, the project is supported and recognized by Tourisme et villégiature 4 saisons, through the Regional Development Fund, Tourism Sector and the Conférence régionale des Élus des Laurentides. We wish to thank all these partners involved in this project.